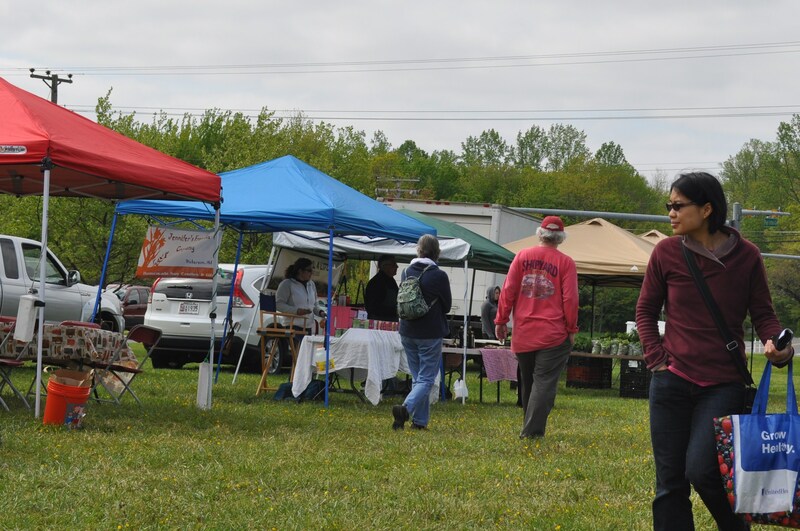 Today we drove down to see what farmers are participating in the Burtonsville market. It is new this year, and started just two weeks ago. There were four farms today selling veggies, one selling meat and eggs, one selling sub sandwiches, one selling olive oil and Atwater’s selling bread. There were also local artisans selling candles, jewelry and other items. I was focused on the farms and didn’t check out the artisans. Not tremendously crowded but there was a line for bread, and one for the fresh strawberries from one of the farms in Virginia. I had to get some. 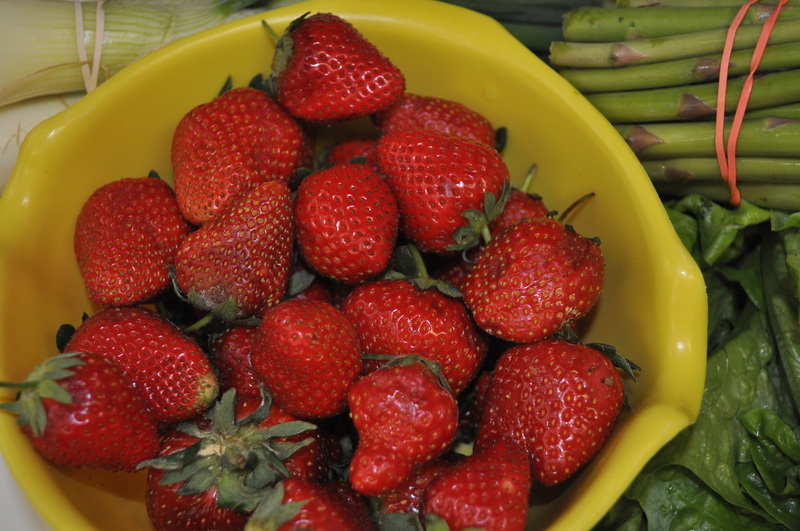 The strawberries and asparagus were from Crazy Farm, in Warsaw VA. The chard and greens from Over the Mountain in Boonsboro, MD. 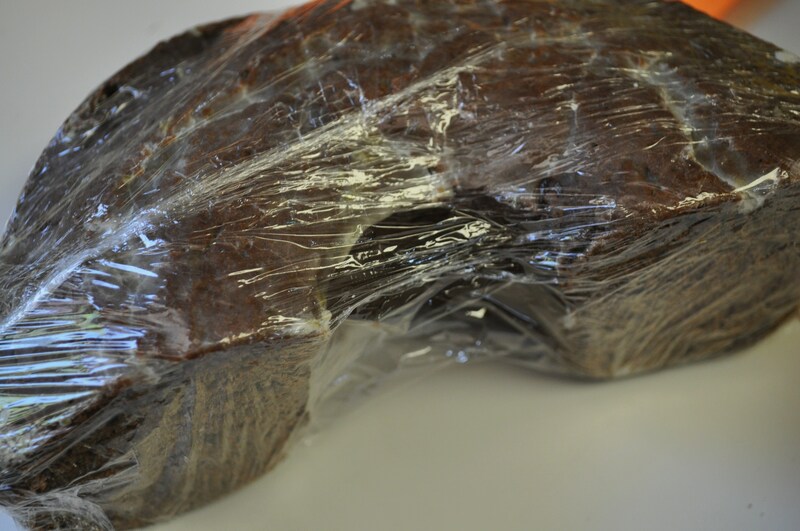 I also splurged on half of a Dark and Stormy Cake from Atwater’s. To serve for dessert tonight. An old neighbor is coming to enjoy the first of the lamb we got two weeks ago from England Acres. 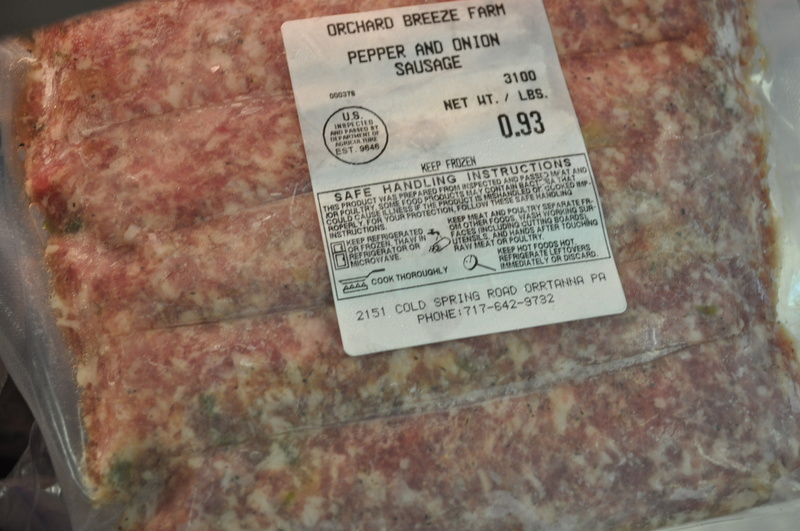 Sausage from Orchard Breeze, too. We did talk to them about turkeys. They are considering doing parts as well as whole turkeys in the future. If you live in the southern end of Howard County, this market is really quite close to you. Maybe five miles from Maple Lawn and Fulton. Using the back roads, it is 12 miles from us. Remember, this week the Howard County Markets open. Look for lots of greens to be there. 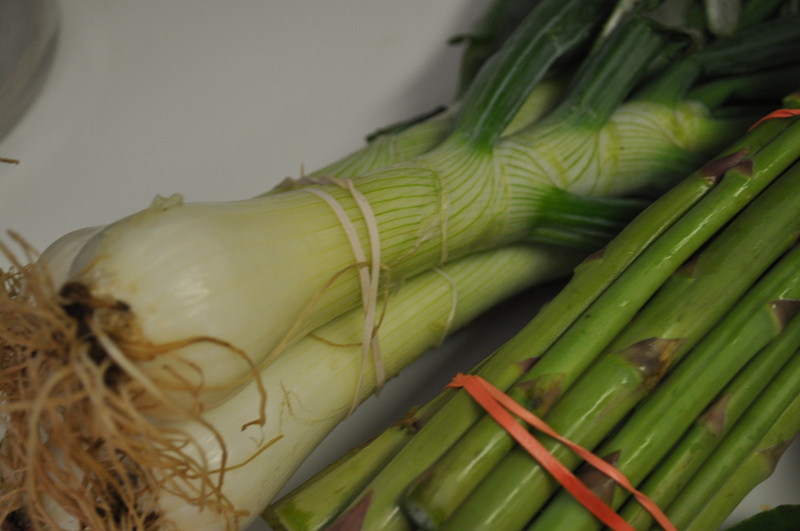 I can’t believe how beautiful the spring onions are, at the markets. I love throwing these on the grill and basting them with olive oil. Here’s to six months of farm fresh goodness! Posted in Farmer's Markets, Farms, Food, Local Businesses, Locavore and tagged farmer's markets, farms, Food, local businesses, Locavore. Bookmark the permalink. What beautiful produce! Thank you for the information about the Burtonsville farmer’s market. 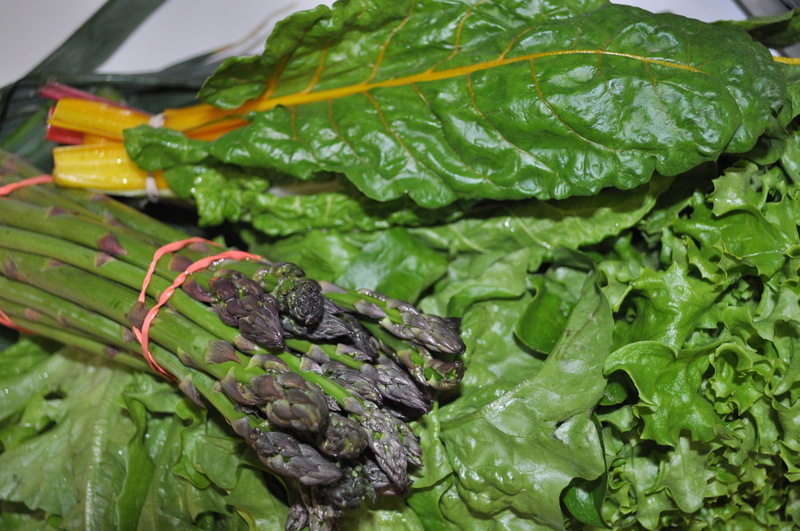 I’m looking forward to fresh greens from the farmer’s market at the Miller Library this week.